LTE or Long Term Evolution is the latest network connection today, this new technology can go as high as 100mbps if not capped by the network, LTE is also called 4G the successor of 3G, although 3G and 2G are still used today. Having an SMART LTE signal in your area is a lucky thing, take advantage of the speed, just take note that premium services requires premium cost, anyway I'm not here to talk about that. Today's topic will consist of how to configure APN and other broadband settings, LTE Sim and device combination, and places where SMART LTE is live. Lets apply a simple logic, as some users experiencing signal drops from LTE (4G) to 3G. It is recommended to use the third combination, as they may give better results, pictures are provided below for references. Small and slick enough to slip into your pocket. Stick-Sized Modem and compact design. *note: this device can be bought at online stores, don't buy from SMART, they are just re-branded devices, and save up to Php2,000. Huawei E392 is already unlocked for all networks, while from SMART is not. The LTE SIM will provide, of course an LTE (4G) signal, although its quite expensive than regular sim, SMART LTE SIM has some extra features like, huge contact space, additional services, extra menus, and they are prioritized by Smart. *Note: Don't use APN=internet, as it may not give the highest speed. 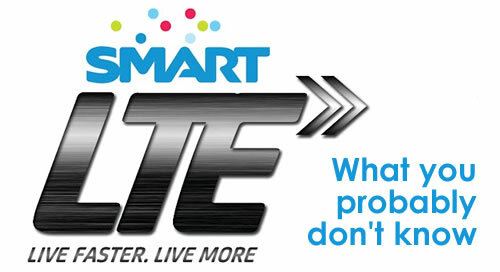 FAQ (Frequently Ask Questions): Q: Is using a regular SIM but subscribe to LTE promo will yield a LTE signal? A: Yes and No, yes it will but not stable due to congested network, i.e 3G. And no if your not using an LTE device/phone. Q: After my LTE subscription expires, I lost my LTE signal and back to WCDMA even with LTE SIM? A: The question is answered already, in any case no promo subcription = no LTE signal. Q: Is SMART LTE network already available nationwide? A: No, only in selected ares, mostly in high profile zones, e.g major cities in the Philippines. Q: Do you have a list? A: Use Google and type "List of areas in the Philippines with SMART LTE signal" or call Customer service. Q: What are the frequencies used by SMART LTE? A: SMART uses 1800mhz and 2100mhz for LTE/2G/3G. Q: What is the maximum speed of LTE? A: LTE uplink data service of up to 50Mbps max upload speed, and LTE downlink data service of up to 100Mbps max download speed. Though ISP will surely cap the bandwidth. Confused? Feel free to ask using the comments! I have an LTE unit(shv-e120s) uses 1800 mhz. I bought an LTE micro sim but to no avail it is not getting any LTE signal in an LTE area site. Kindly explain why! is that postpaid or prepaid? Most important thing is that you are subscribe to an LTE promo, otherwise call customer service. Wrong. For now Smart doesn't support LTE 1800 MHz band despite the official ad campaigns made in their website. I got an Asus Padfone 2 and LG Optimus GK for that reason only to be disappointed in the end. Had to apply for a Globe LTE. hello dude im using vega r3 using 1800 mhz and 900mhz now, i have lte prepaid sim and activated for a promo but no luck of getting 4g signal does apn settings affect it? Lets assume your near LTE tower, then your only option to call CS. Note: once you insert the SIM, it automatically creates all the settings, unless you tinker it, that might cause problem dude. Otherwise, try creating a manual APN using the above settings. Ano b tlg ang settings dto?i hve note 3 pero wla p dn lte sgnal..nbili ko sim s isang mliit lng n tindhan..kelangan b s mismong smart center bumili? hello...just recently bought the smart prepaid lte sim and used it with my hspa+ cloudfone. the max i got is 6 mbps. im gonna try other lte hotspots here in cebu to see if i can go above that. i tried downloading games in google play and it appears im downloading with speed ranging 300kbps-1mpbs. for me, its uber awesome enough. Thanks. hope changing from internet to dynamic in APN will make may connection faster..
Whats the APN Setting for Huawei E 5776 with Smart LTE Prepaid ? 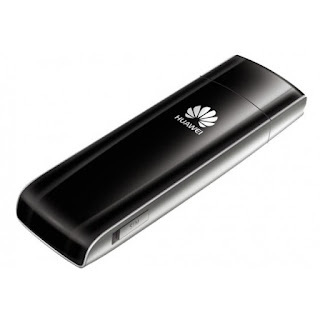 Hallo, please advice what are the APN Settings for Huawei E5776 with Smart 4G LTE Prepaid ? Sir! Goodeve. Tanong ko lang po, kasi di ko makita yung value ng mga DNS, Access.. Etc. sa Galaxy s3. Ayaw ko pong makialam sa settings baka masira. Pwede po ba patulong? Thanks. apn settings for pantech sky vega ? Just wanted share my steps on how to get an LTE connection w/ My LG Optimus G Pro(F420L Korean) that works with Smart LTE Prepaid NO ROOT needed! Tried to toggle my network connection (which the steps are stated below) and ~Wah lah, got LTE connection though you won't receive text message or phone calls once you toggle it. See instructions below to toggle your LTE(smart). Your phone will automatically reset and once it goes back it won't show any signal at but you will see an LTE light going in and out at the top. may additional charge kya kung ggamit ako ng lte settings kahit di naman ako naka lte promo? What APN should we use with SurfMax with LTE mobile wifi, but plan to use 3G only? Is there a APN that can work both on LTE and 3G? How did they know the mhz of their phone? I'm also using LTE phone but i can't get fast internet, it always stop at 3g.. is it right for me to buy am LTE sim? 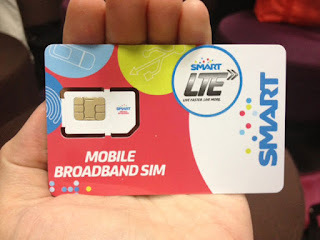 Compatible ba smart lte sim sa smart bro pocket wifi na halagang 888 pesos. Magkaka 4g kaya un?